DEDICATED TO YOUR TRAINING - BECAUSE WE ARE PASSIONATE ABOUT FLYING! Based at New Tempe Airport, Bloemfontein, John Bassi’s helicopter and fixed wing flight school has grown from strength to strength. Recognized as one of the country’s top training facilities for its high standards, professional outlook and excellent flying instructors, Bassair prides itself on individual student attention and a relaxed atmosphere in which to make the most of your training. Since the school’s inception, Bassair has assisted over 200 aspiring helicopter and fixed wing pilots make their dreams come true. If you are looking for a combination of learning to fly, adventure-filled new experiences, blue skies, open spaces and sunshine, all combined with the highest standards of training, then join us and share our passion for helicopters and flying. The operations centre in Bloemfontein serves as the central base for our daily activities. It is here, in friendly surroundings, that the majority of your helicopter training will take place. 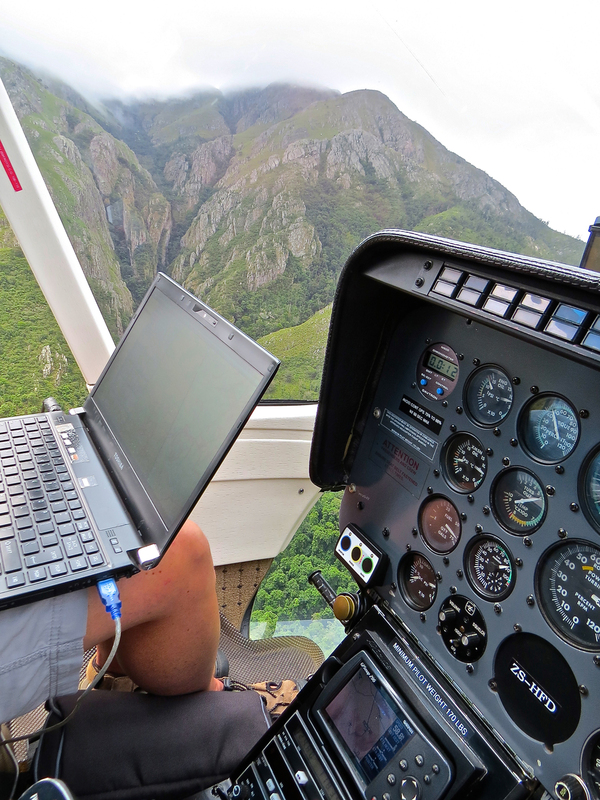 We are a SACAA (South African Civil Aviation Authority) approved, Part 141 training organization, providing a controlled airspace with student friendly Air Traffic Controllers. We operate in conjunction with an on site maintenance facility, ensuring that aircraft down time is kept to a minimum and presenting you with an opportunity to learn more about helicopter maintenance. By choosing us as your training establishment, you have already taken the first step towards a future in aviation and we would like to take this opportunity to assure you that our approach to flight training will always be professional, guaranteeing you the maximum benefit from your time spent with us. An introductory flight gives you the opportunity to experience the feel and control of a helicopter. During this flight your instructor will guide you through the pre-flight inspection and explain the basics of how the aircraft’s controls and instruments work. If you feel comfortable, you will actually do most of the flying yourself. Once you have decided that this is for you, the introductory flight will count towards your Private Pilots Licence. Training is completed on either the agile and manoeuvrable Robinson R22, a piston engine two-seater helicopter with a seat limitation of 106kgs, or the 4-seater Robinson 44 for the bigger guys. You must be at least 16 years old to go solo. You must obtain an aviation approved medical certificate before going solo. We do however recommend that students complete this before commencing flight training. The CAA requires a minimum of 50 hours of flight training in order to obtain a PPL (Private Pilot’s Licence) of which at least 25 of these hours are flown with an instructor in the aircraft (dual flight). A further 15 hours (minimum) are flown solo, but still under instructor supervision. A Private Pilots Licence allows you to fly with passengers, but not for reward or remuneration. If you want to fly fare-paying passengers or offer any kind of helicopter-based service, you will need to obtain a Commercial Pilots Licence after your PPL. The time taken to complete the PPL helicopter course depends entirely from person to person, however, if you already have aviation experience you will be able to complete the course in a shorter period. Full time students can complete the course in 6 - 8 weeks whilst part time students will take anything from 3 months depending on their availability. You will need to purchase your PPL training kit on enrolment. Your instructor will advise you on which manuals to read before each flight. This makes the lesson more valuable to you. Payment is made in advance, usually in the form of a block payment, for 5, 10 or 15 hours of flying at a time. Your account must stay in credit by at least 1 hour. You may also pay for each flying lesson as you go, but please note that payment is strictly upfront. Students book an instructor and aircraft for a time slot most suitable to them. We would like you to stay with one instructor for the first 8 hours of training, although we require that you fly with another instructor before being sent solo. Off base training is an option for students that are unable to train at Bloemfontein. The Attendance of all lectures forms an integral part of your training. All the required material and books are provided in your PPL Training kit and the entire course is conducted at Bloemfontein, including the restricted radio licence. Candidates can write their 7 PPL exams at any of the CAA accredited on-line examination centres available at New Tempe Airport. Radio Telephony Procedures is a separate course which is normally done at this flying school. Once you have obtained your PPL, you may want to hire and fly our helicopters, or do a conversion on to another type of helicopter. Additional ratings available include instructor’s ratings, night ratings, instrument ratings and game ratings, as well as conversions to type. There are a number of guest houses in the Bloemfontein area. Should you require accommodation while training, please contact the office for further details. Once you have your PPL, obtaining a CPL requires a further 150 hours of helicopter flying time (total 200 hours). If you already have a Fixed-Wing Commercial Licence, the requirement for the helicopter Commercial Licence requires only a 100 total helicopter hours. Other requirements are a CPL Medical, General Radio License, 8 examinations written at the South African Civil Aviation Authority (SACAA) and a flight test carried out by a Designated Examiner. You also need to be over 18 years old. We recommend the following steps after obtaining your PPL. Enroll for a Commercial Ground School course. A number of schools offer these lectures with various time frames to choose from. Once you have completed ground school, a strict self-study routine will see you through to writing your CPL exams at the CAA in Midrand. Full time study for Comm would be preferable but, with discipline and dedication, part time students have been just as successful. Book and write your Commercial subjects. Once you have written and past all your subjects, continue with your flight training and hour building. Payment is made in advance, usually in the form of a block payment, for 5, 10 or 15 hours of flying at a time. Your account must stay in credit by at least 1 hour. You may also pay for each flying lesson as you go, but please note that payment is strictly upfront. We will happily accommodate all your personal requirements for your commercial flight training. Various other ratings, for example instructors rating, game rating, night rating, instrument rating, sling rating, safety pilot rating, turbine rating and any conversions to type can be built into your 150 hours. Please speak to your instructor for additional costs and further information.